About: Minimalistic template, with clear colors by default (light gray). 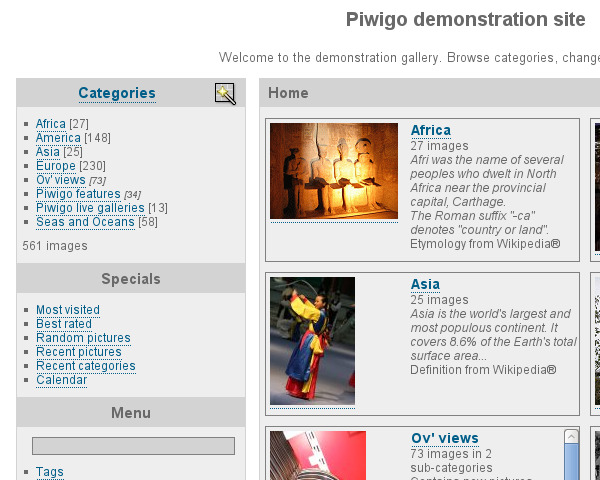 The "clear" theme was integrated in Piwigo quite a long time ago. It comes back in piwigo.org extension manager to make it "installable" with the new 2.1 theme manager added inside Piwigo administration. Minimalistic template, with clear colors by default (light gray). Presentation is different from template "default" particularly on comments presentation : more space between comments. This template is (in author opinion) more adapted to galleries with long user comments.